The glamorous Bentley Azure convertible is one of the top luxury convertible cars. This four seated luxury car is unique in its design and looks. The rear section and the whole cabin are uniquely designed. The folding roof is made with stunning technical details, and you can operate the roof with simple switches. The Azure car is a perfect Bentley, and owning this car has become a symbol of status. Luxury cars are not suitable for regular life errands, but if you are looking for enjoyable driving, then Bentley Azure is for you. You can cherish this car for your life time. Bentley Brooklands is another stunning luxury machine with a powerful 6.8-liter V8 engine. The car is really fast with that powerful engine, but it’s also a very thirsty machine which is not very friendly when it comes to fuel consumption. However, if you can afford to buy a car like this, fuel consumption is probably the last thing in your mind anyways. For incredible driving, one has to choose incredible new Bentley Arnage, which comes in super power. The luxurious interiors along with a luxurious speed make the new Bentley Arnage a splendid car on the roads. This four-door luxury sports sedan can accommodate four passengers. 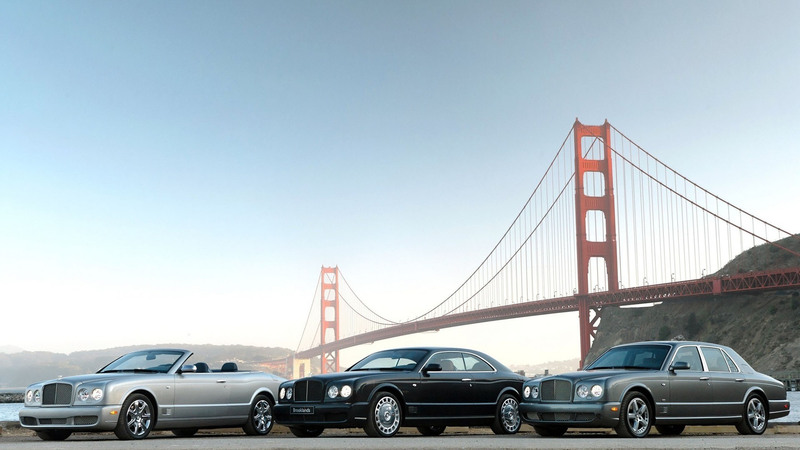 One can choose from four base models ranging from the new Bentley Arnage R to Bentley Arnage RL.